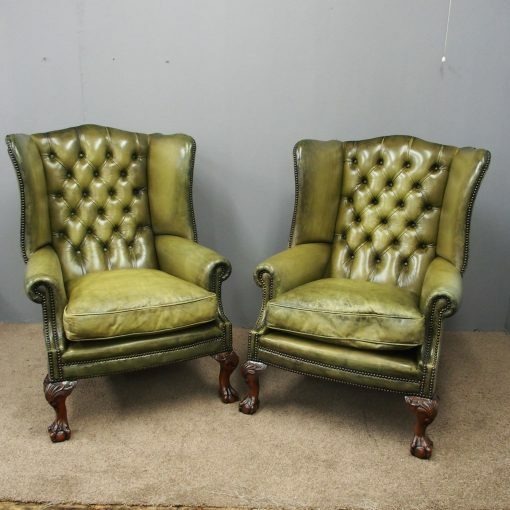 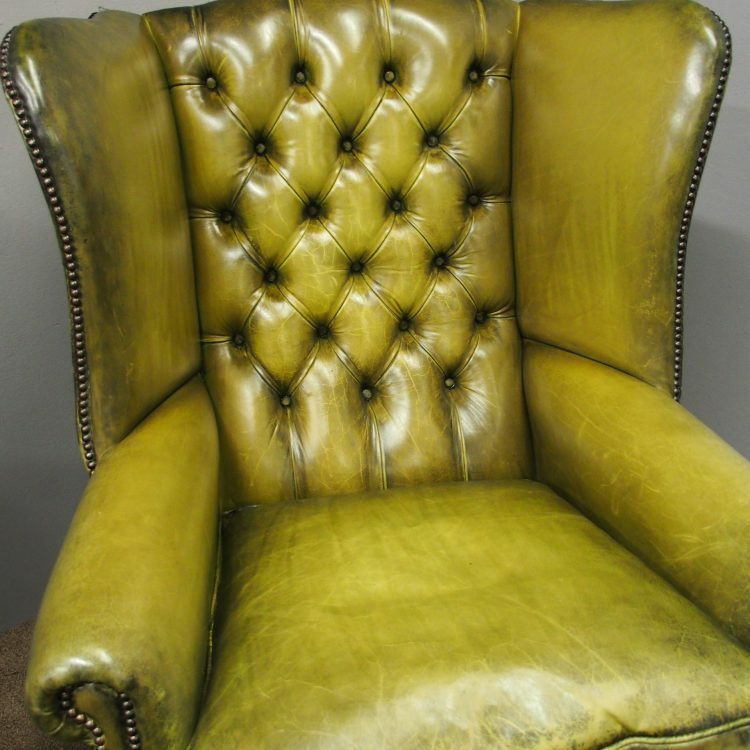 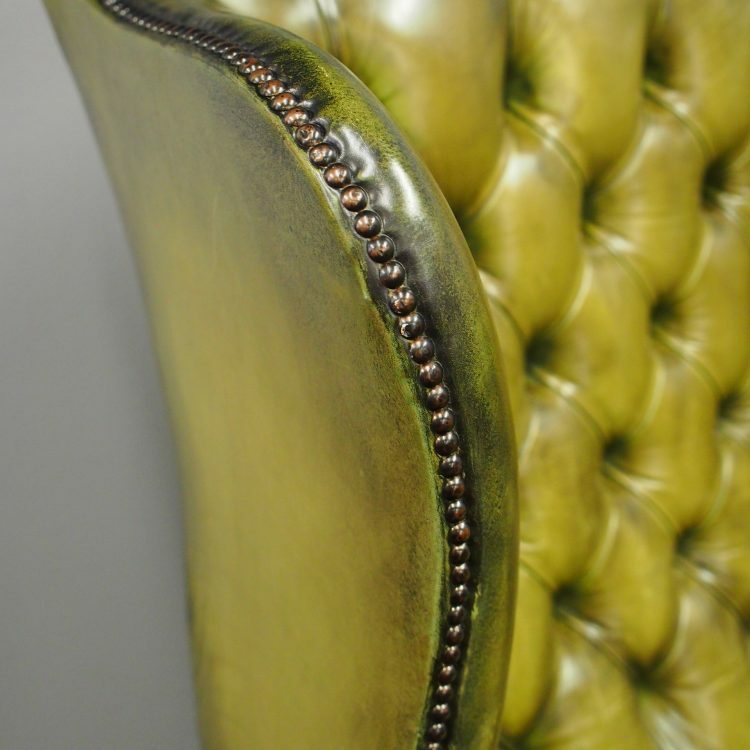 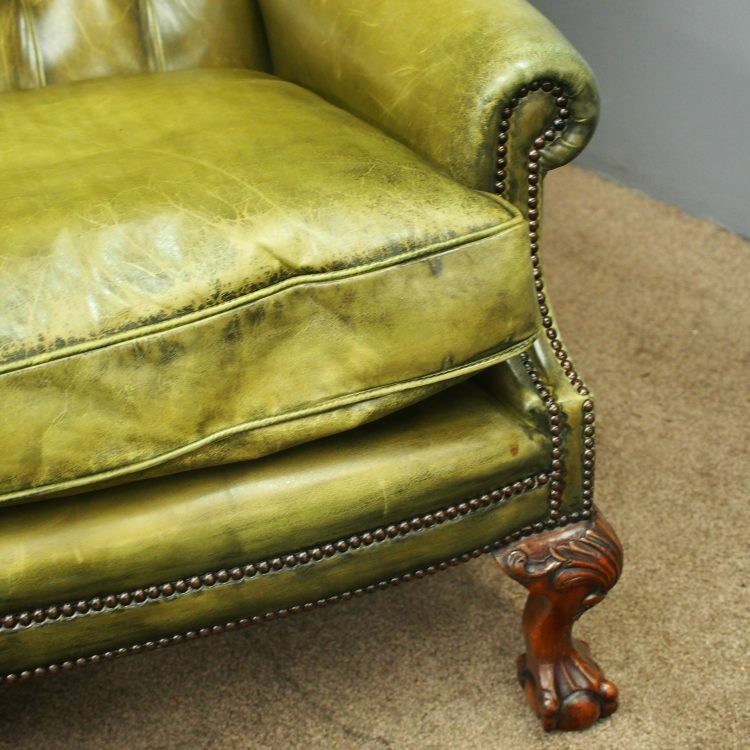 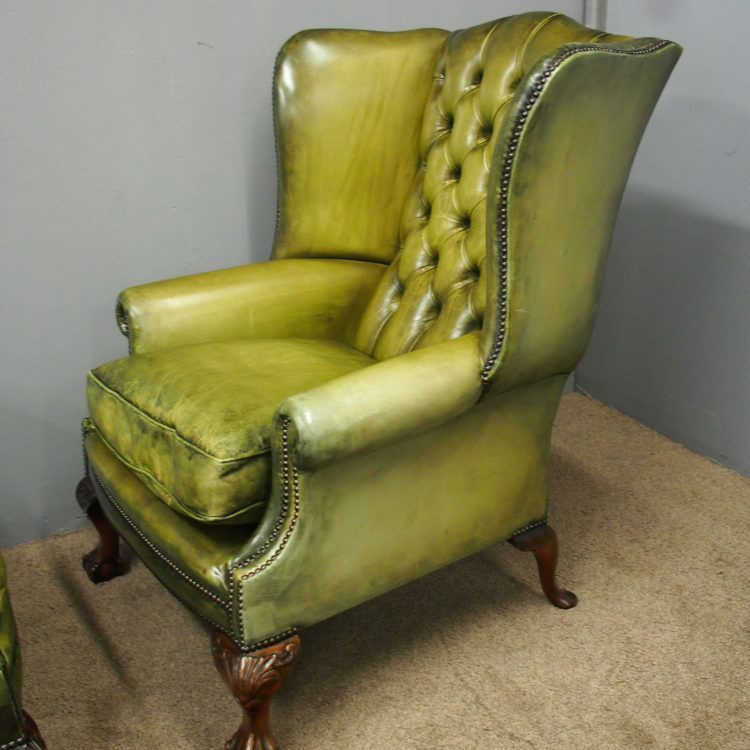 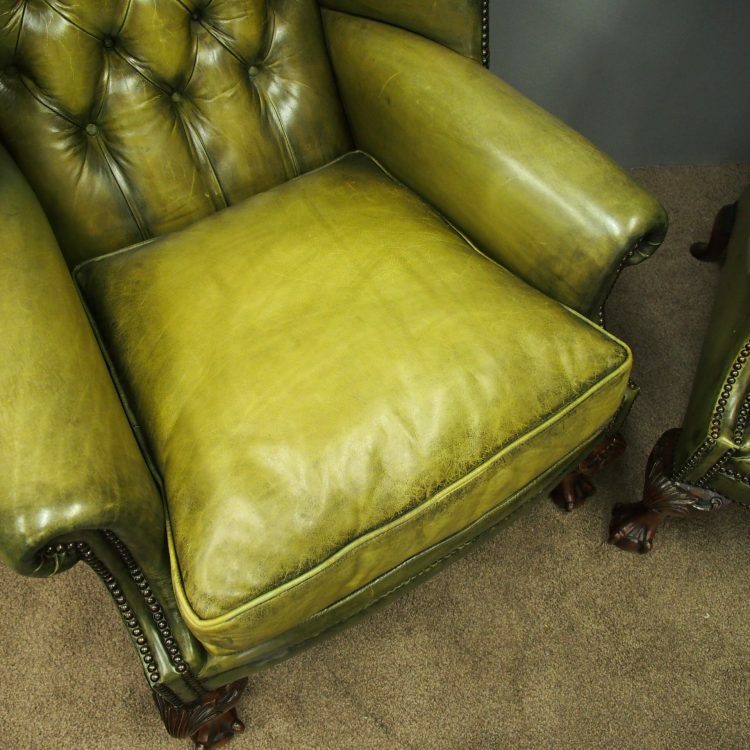 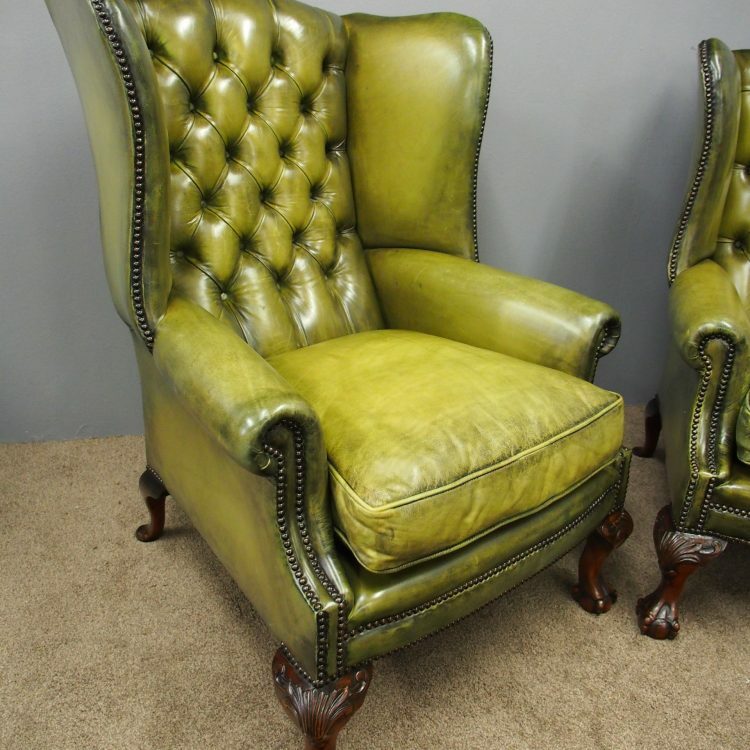 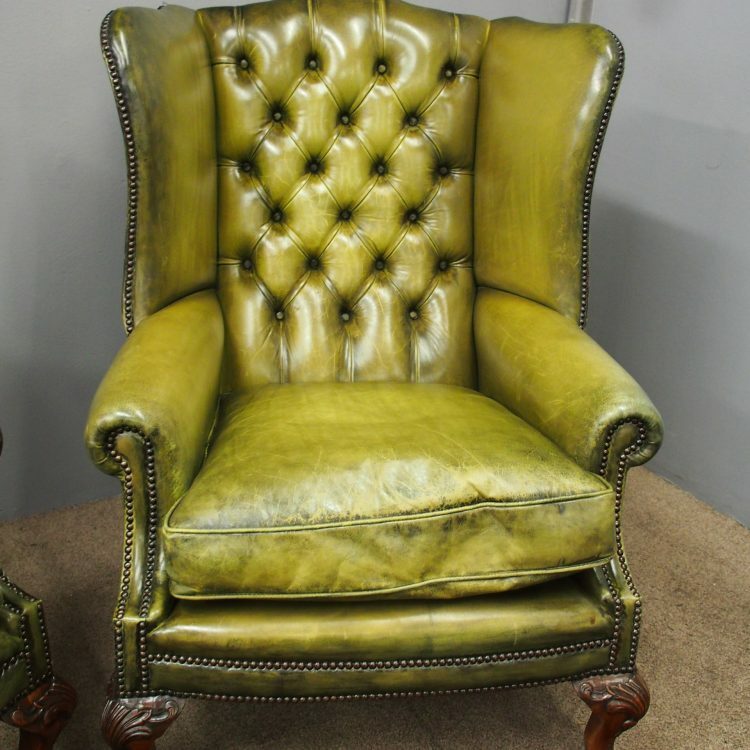 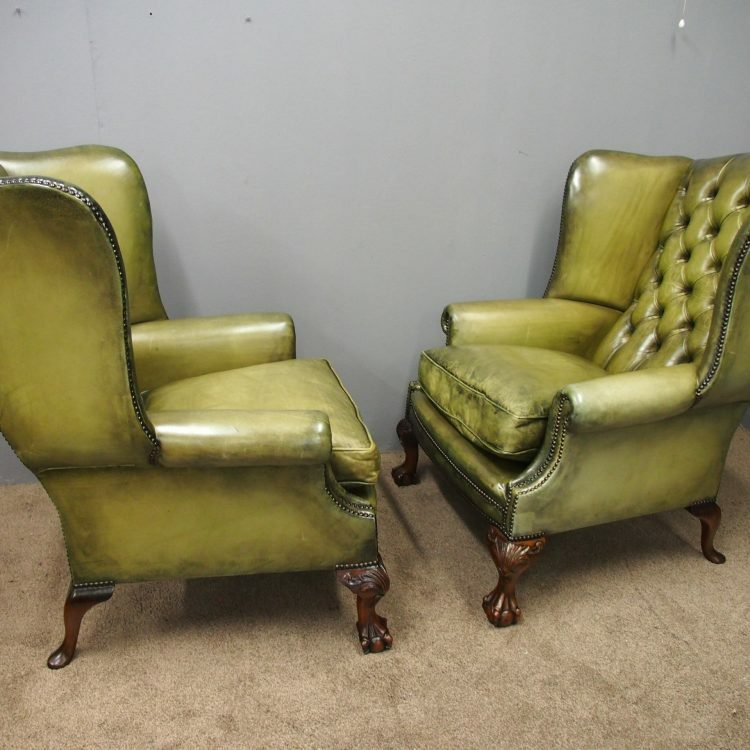 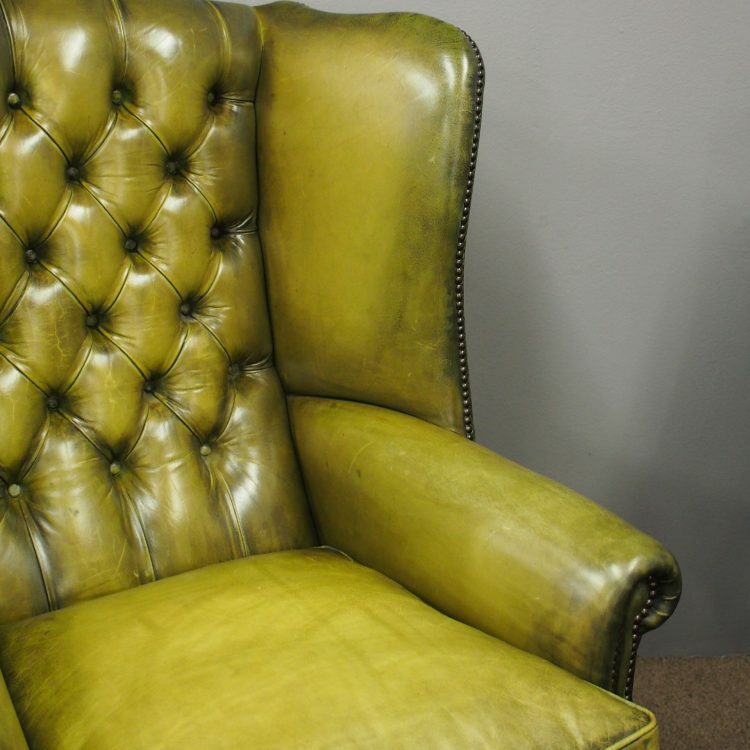 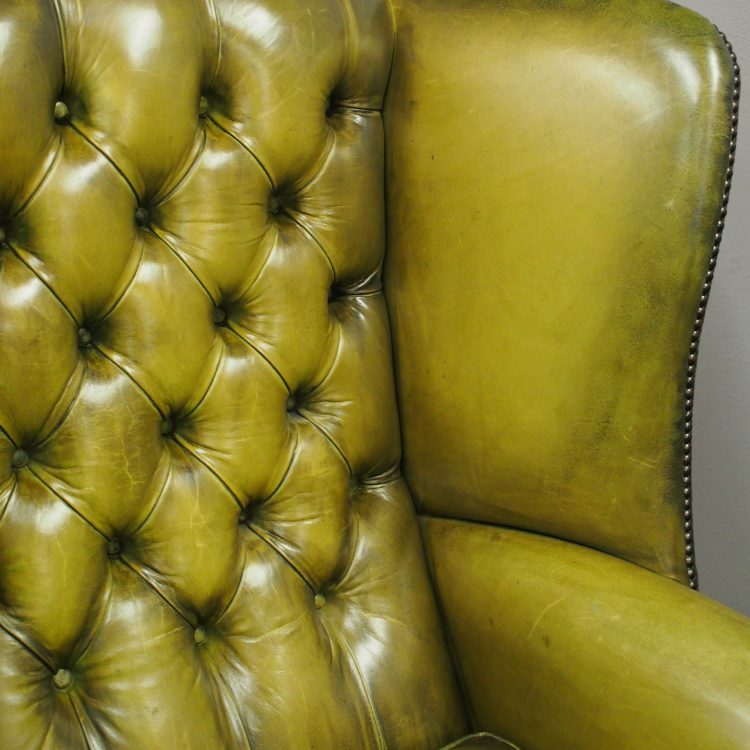 Circa late 1900s, pair of Georgian style wing chairs, upholstered in quality olive green leather. 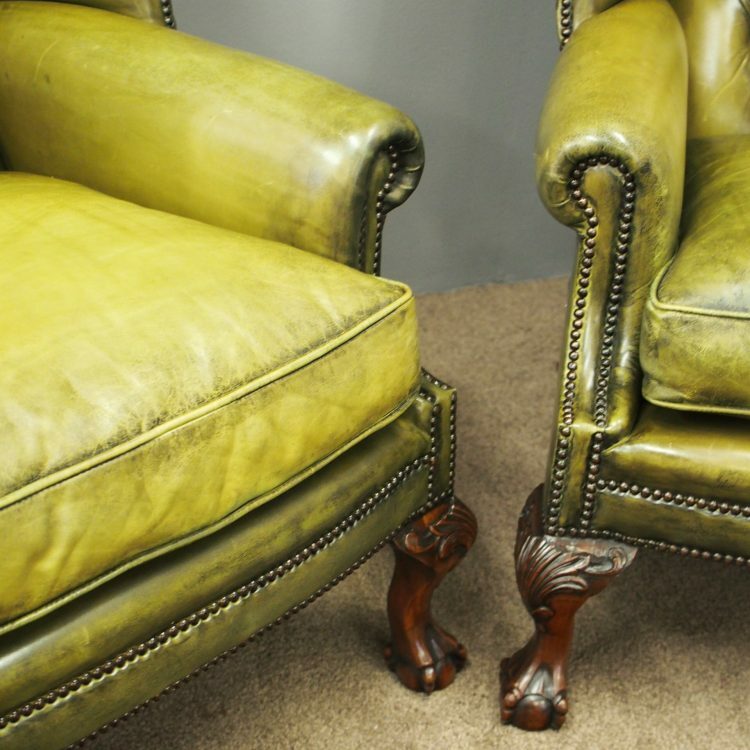 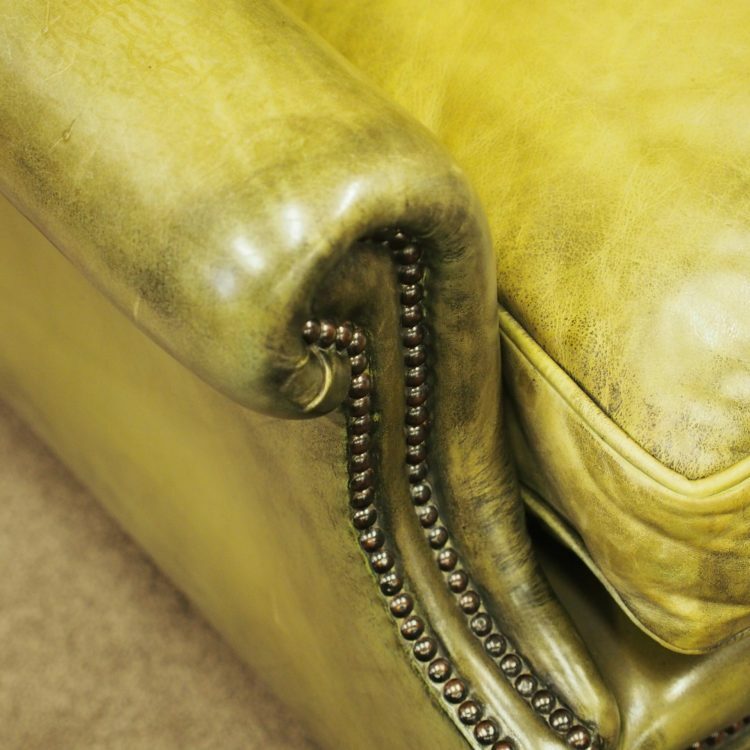 The shaped backs with deep button upholstery are flanked by deep wings and scrolled arms, all with brass studding. 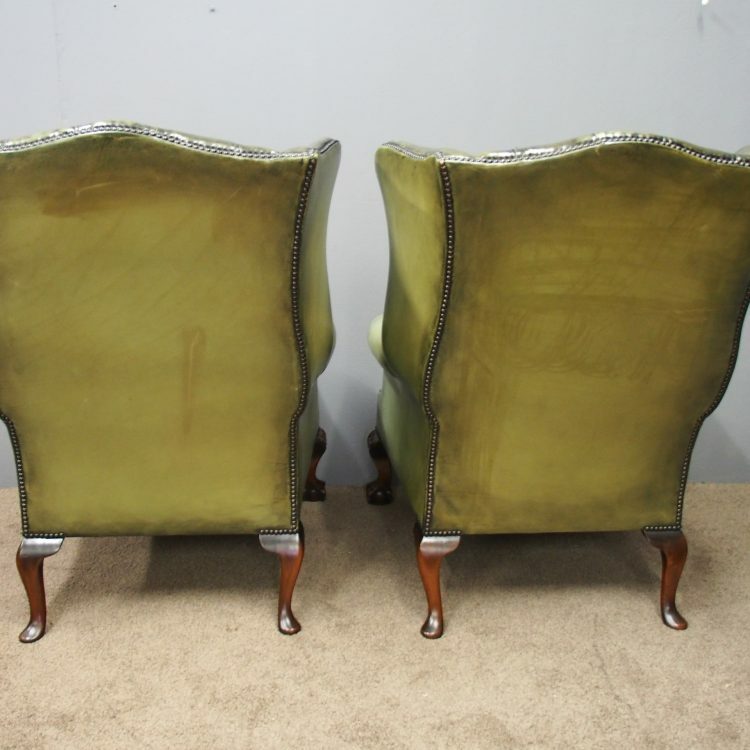 There are removable squab seats, supported on carved mahogany cabriole ball and claw feet. 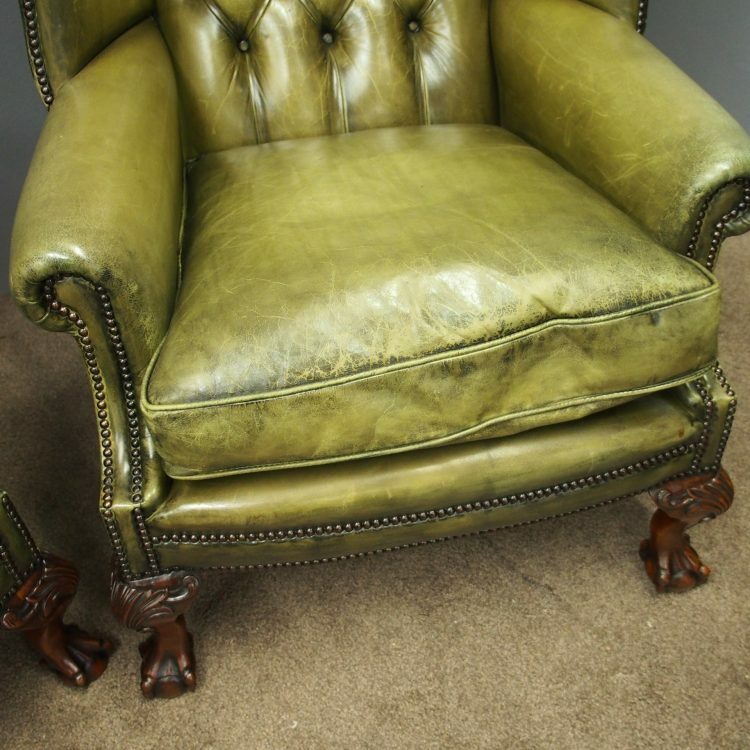 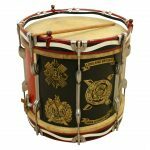 Size 110 cm high x 82 cm wide x 68 cm deep.